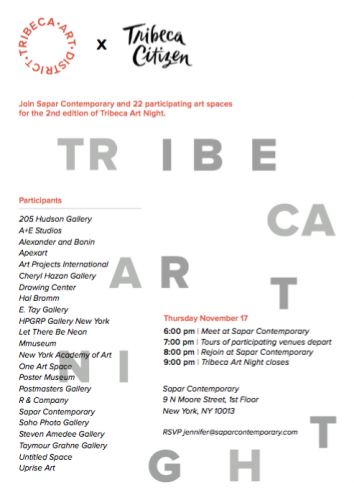 The second edition of Tribeca Art Night will take place on Thursday, November 17th from 6:00 to 9:00pm and will include 23 locations in Tribeca - fine art and design galleries, non-profit spaces, and institutional venues dedicated to the Arts. 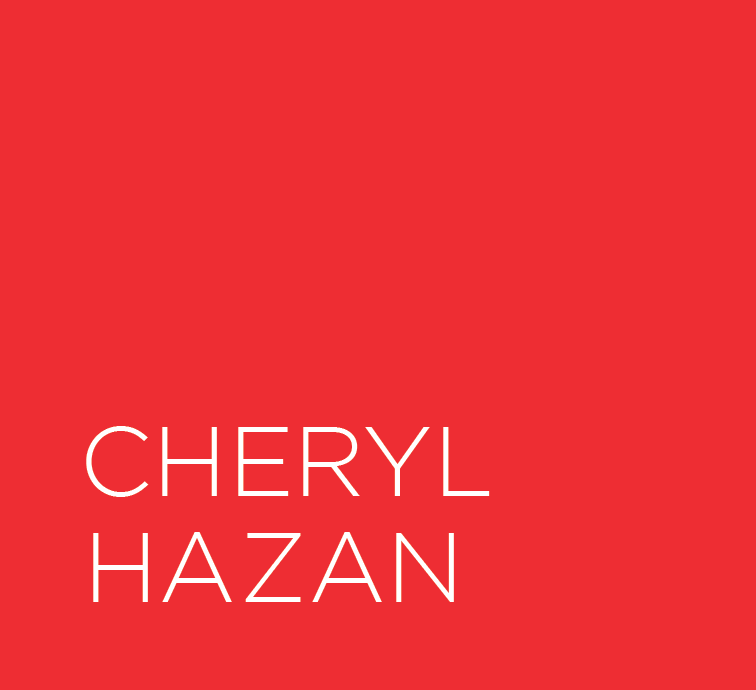 Cheryl Hazan Gallery will be exhibiting Deb Lawrence's critically acclaimed "Uneven Edges" show. Four curator-led tours will guide participants throughout the neighborhood to discover the various shows on view and program at participating locations. Please kindly RSVP to this Jennifer@saparcontemporary.com if you would like more information or to participate to the tours from 7:00 to 8:00 pm. Participants will also have the option of doing self-guided tours via a map distributed at all locations. We are also delighted to announce that artist Ofri Cnaani will be a special guest for this second edition. Visitors will be able to join Ofri Cnaani for a participatory performance entitled "Annotated Viewing” commissioned specially for Tribeca Art Night. We look forward to welcoming you to Tribeca Art Night #2!